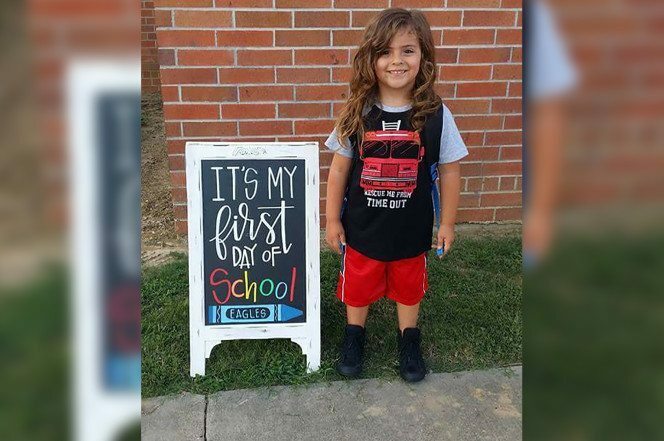 4 year old Jabez Oate from Texas was enthralled to start school before being sent home for having long hair as it violates the dress code. Oate’s mother believed her son would be excused from the dress code due to cultural reasons. “My family is American-Indian. We are Cocopah Indian and that was the documentation that I was going to provide for the reason for my son’s long hair,” Oates explained. However this was not enough as she was soon contacted by the principal explaining that the dress code was being violated. Oates has tied his hair back and put his hair in a bun, however he was still sent home as a black hair tie was deemed an “inappropriate hair accessory”. Trying to seek out day-care options, Oates mother has received a lot of backlash from her decision to keep her sons hair long. “It has been vile. A lot of people have told me to move and get out of here… I can’t home school because I work full time and I’m trying to find a second job. I’m a single mom and so home-schooling really just isn’t an option,” Oates said. Oates mother has since started a change.org petition in a bid to change the school dress code she deems “sexist”.